In Wicked Fast Websites, I recommend that web developers optimize and smush images, a process that can decrease file size by 25-percent or more. While OSX has the fantastic and free ImageOptim app, there hasn’t been a great alternative for Windows users. But now there is. 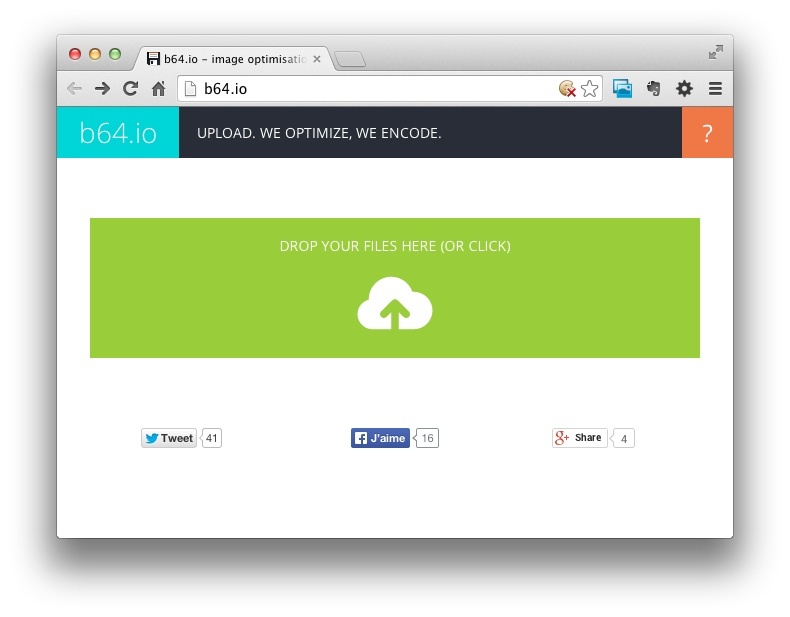 b64.io is a web-based, drag-and-drop image optimizer that compresses images with the same level of effectiveness as ImageOptim. It’s free and platform agnostic (it even works on your iPhone!). And unlike ImageOptim, it provides a data URI so you don’t have to link to an external image at all (ImageOptim now has this functionality, too). Pretty cool! Check out b64.io. Hat tip to Chris Coyier.